Our health care system is in critical condition. The Affordable Care Act has insured more Americans than ever, yet deductibles keep rising and costs continue to climb. Now more than ever, the industry needs a shot in the arm. It needs The Innovator's Prescription, the now-classic approach to efficient, affordable health care. Every health system people should read! 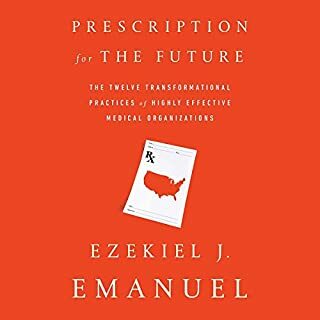 Prescription for the Future identifies some standout medical organizations that have achieved higher-quality, more patient-focused, and lower-cost care, and from their examples distills 12 transformational practices that could transform the entire health-care sector. Ezekiel J. Emanuel looks at individual physician practices and organizations who are already successfully driving change and the specific practices they have instituted. American healthcare is in crisis. It doesn’t have to be. There's a revolution going on right now. On the frontiers of medicine, some doctors have developed an approach for treating people that is more effective, more humane, and more affordable. It's an approach to healthcare that has captured the attention of the media and business elite - and the President of the United States. It's all happening at Cleveland Clinic, one of the most innovative, forward-looking medical institutions in the nation. It is well documented that our health-care system has grave problems, but how, in only a matter of decades, did things get this bad? Dr. Elisabeth Rosenthal doesn't just explain the symptoms; she diagnoses and treats the disease itself. Rosenthal spells out in clear and practical terms exactly how to decode medical doublespeak, avoid the pitfalls of the pharmaceuticals racket, and get the care you and your family deserve. She takes you inside the doctor-patient relationship, explaining step by step the workings of a profession sorely lacking transparency. When it comes to providing high-quality care in the most efficient, cost-effective way possible, ProvenCare has proven to be the gold standard in the industry. 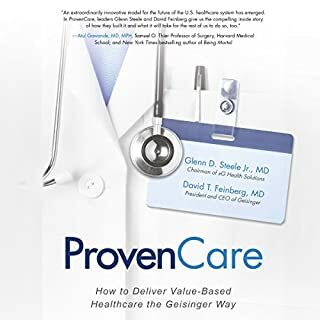 Developed at Geisinger Health System and praised by health care leaders worldwide, this pioneering approach provides an essential blueprint for health care executives who want to provide higher levels of care for their patients, greater incentives for practitioners, and smarter solutions at lower costs. America's Bitter Pill is Steven Brill's much-anticipated, sweeping narrative of how the Affordable Care Act, or Obamacare, was written, how it is being implemented, and, most important, how it is changing - and failing to change - the rampant abuses in the healthcare industry. Brill probed the depths of our nation's healthcare crisis in his trailblazing Time magazine Special Report, which won the 2014 National Magazine Award for Public Interest. Considered the definitive history of the American healthcare system, The Social Transformation of American Medicine examines how the roles of doctors, hospitals, health plans, and government programs have evolved over the last two and a half centuries. 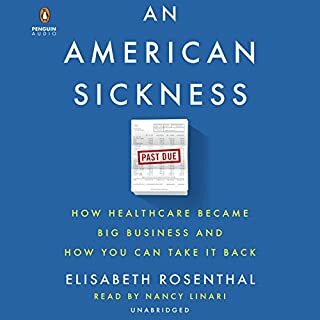 Updated with a new preface and an epilogue analyzing developments since the early 1980s, this new edition is a must-listen for anyone concerned about the future of our fraught healthcare system. In The American Health Care Paradox, Bradley and Taylor illuminate how narrow definitions of health care, archaic divisions in the distribution of health and social services, and our allergy to government programs combine to create needless suffering in individual lives, even as health care spending continues to soar. They tell us how, and why, the US health care system developed as it did; examine the constraints on, and possibilities for, reform; and profile inspiring new initiatives from around the world. Ezekiel J. Emanuel, a professor of medical ethics and health policy at the University of Pennsylvania who also served as a special adviser to the White House on health-care reform, has written a brilliant diagnostic explanation of why health care in America has become such a divisive social issue, how money and medicine have their own American story, and why reform has bedeviled presidents of the left and right for more than one hundred years. Healthcare must provide higher quality care at a lower cost. Studer Group's Engagement Model is the key. If you're seeking to create a culture of high engagement, you're not alone. Great clinical quality depends on it. Price pressures demand it. Where engagement doesn't exist, all stakeholders suffer. By making engagement a core competency, you can reduce turnover, prevent physician burnout, improve clinical outcomes, and solidify trust in caregivers. This audiobook is a crash course on the most common issues hospitals, medical record handlers, and Healthcare IT professionals face on a daily basis. 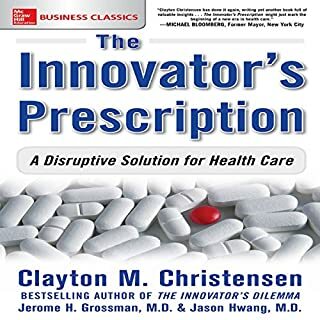 The author structures the topics in a manner that defines the issue and explains the easiest and most effective path from point A to point B, so that the listener can better comprehend the actions necessary for a desirable outcome that both protects the hospital, patient data, and healthcare professionals. Mayo Clinic is among the best service organizations in the world. It fosters a culture that exceeds customer expectations and earns deep loyalty from both customers and employees. This classic business guide offers a rare, up-close look at the best practices that drive Mayo Clinic's success. 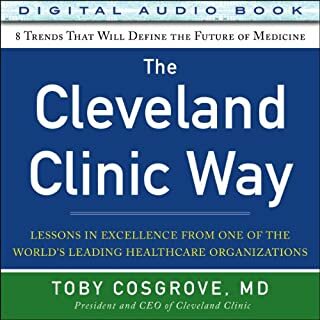 Using a compelling novel format, the audiobook demonstrates how to apply lean thinking in a healthcare setting. It illustrates the situations, characters, and plant politics you will most likely face as you progress through your lean healthcare journey. As the story unfolds, you will discover the way of thinking and behavioral changes required to implement proven Toyota Production System (TPS) methods, tools, and thinking in healthcare. The world’s leading safety experts share practical, day-to-day solutions that combine the latest tools and technologies in healthcare today with the best safety practices from high-risk, yet high-reliability industries, such as aviation, nuclear power, and the United States military. Using these field-tested methods, you can develop new leadership initiatives, educate workers on the universal skills that can save lives, organize and train safety action teams, implement reliability management systems, and create long-term, transformational change. Do you know how to tell good health care from bad health care? Guess again. As patients, we wrongly assume the "best" care is dependent mainly on the newest medications, the most complex treatments, and the smartest doctors. But Americans look for health-care solutions in the wrong places. For example, hundreds of thousands of lives could be saved each year if doctors reduced common errors and maximized preventive medicine. The biggest problem with health care isn’t with insurance or politics – it’s that we’re measuring the wrong things the wrong way. 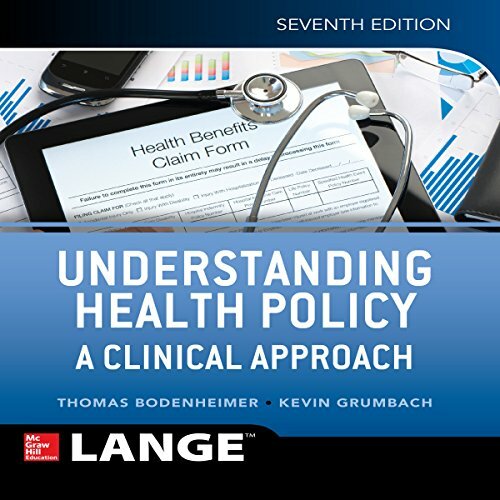 The Seventh Edition of Understanding Health Policy: A Clinical Approach remains the most trusted and comprehensive guide to healthcare available and provides everything you need to build a solid foundation on the field's most critical issues. 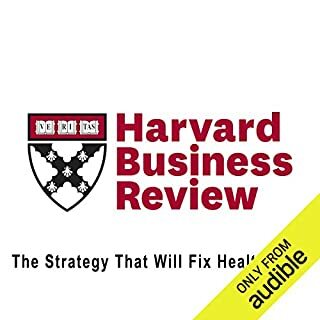 This concise and engaging audio textbook clearly explains the all major aspects of healthcare, including finance, organization, and reimbursement. It will help you develop a clearer, more systematic way of thinking about health care in the United States, its problems, and the alternatives for managing and solving these problems. The book features a unique approach, using clinical vignettes to highlight key policy issues, clarify difficult concepts, and demonstrate how they apply to real-world situations, affecting both patients and professionals alike. Expert practitioners in both the public and private healthcare sectors, the authors cover the entire scope of our healthcare system. They carefully weave key principles, descriptions, and concrete examples into chapters that make important health policy issues interesting and understandable. Understanding Health Policy makes otherwise difficult concepts easy to understand - so you can make better decisions, improve outcomes, and enact positive change on a daily basis. Updated throughout to reflect the latest changes and events, including additional content on value-based care, Choosing Wisely®, etc. The narrator really makes this a great listen. I was expecting the book to be informative, but rather dull. The book had a nice balance of general explanations and the real world situations that are created by different policy decisions. This book has been a perfect (almost exciting) introduction to the healthcare industry. I give high praise to the narrator. He reads the book like a story, instead of like a monotone lecture.